Em Around the World is a website dedicated to providing information on international travel, including tips and planning recommendations, destination reviews and experiences, as well as lots of deals and discount codes on transportation, accessories and accommodations. I get asked this question A LOT. In my experience, it comes down to prioritizing and finding a balance. Travel does not have to be ridiculously expensive [unless of course, you want it to be] or something that only ‘rich’ people can do. One of the most important things I like to point out to future or even current world travelers is that there is a HUGE amount of research that goes into any trip I take. This does not only include tours or attractions, but revolves heavily around finding the most inexpensive ways to see everything I want to see while always keeping to a budget. In terms of funding, I break up my year into a series of work months and trip months with some overlap in between. What this means is that as a freelancer, I have set projects that don’t change year to year and bring me a good amount of money to save. These are my large sources of income during the year. In between that, I take on smaller projects to fill in the gaps. Even further in between that is when I take my worldly expeditions, sometimes lasting months at a time. Being a freelancer has its pros and cons. Unlike the full time corporate jobs I had in the past, I am never guaranteed a steady paycheck. This makes budgeting a bit more challenging, though most months, I try to see it as an opportunity to think outside the box. One of the best things about freelancing is that I can take all the vacation days I want – and often do – though this is where budgeting is most important. How do you travel by yourself? 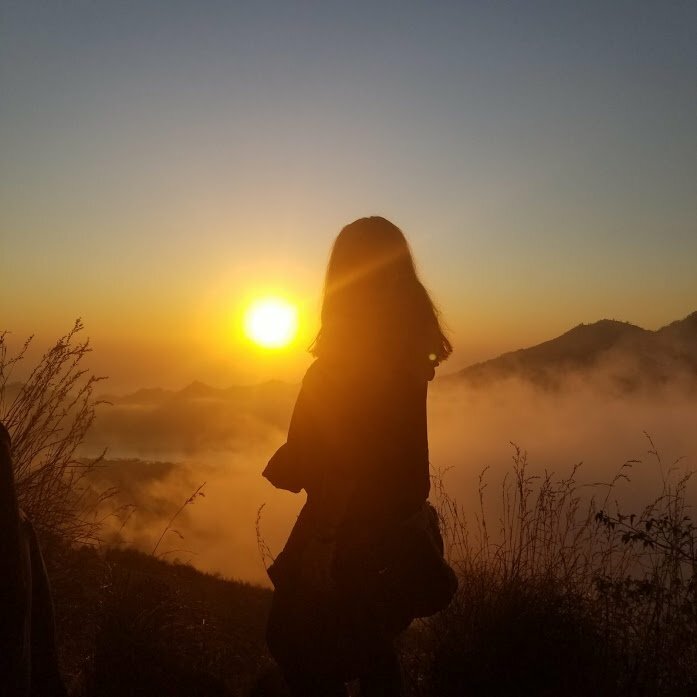 Solo travel is not for everyone, though it is something I can’t help but recommend everyone try at least once in their life before deciding it’s not for them. Most people my father at the front of this argument will say traveling alone isn’t safe – especially for women. And while I will agree that some countries in particular are not safe for solo travelers – especially women – I can’t live a life dictated by fear. Sadly, we live in a world where people are no longer safe going to clubs or concerts, kids going to school, and these are all things that have been happening in my own backyard. The bottom line is this – the unexpected can happen to you anywhere in the world. This doesn’t mean I purposely put myself in danger. I am not interested in that. What it means instead is that you have to be smart. Be aware of your surroundings, don’t put yourself in situations where people can take advantage of you, don’t share too much information and most importantly – LISTEN TO YOUR GUT. As with everything, traveling alone has its ups and downs. Though totally cliche, I think you truly do get to know yourself on a whole new level. You have to learn to be comfortable with yourself, with silence, with doing things by yourself that you would never normally do. You also learn to accept new cultures and reach outside comfort zones and language barriers. You meet new people who all have a story to tell and you get to tell them yours too. It’s a humbling, nerve-wrecking, scary, exhilarating, exciting, unique experience in each new place I visit. I can’t imagine traveling any other way. What type of work do you do as a freelancer? Technically, I have a degree in business marketing though I’ve had a passion for the creative my whole life. Starting out in retail while in college cemented my love for fashion while giving me vast experience in merchandising, e-commerce styling, in-store visuals and commercialized business. Through internships, volunteering and eventually working in the fashion corporate world, I was able to become an event production professional. As a freelancer, I offer different services within the experience I have had over the past 13 years – including event production, personal and editorial styling, interior home design, visual merchandising and marketing/creative services. Do you allow guest posts on your site? Fill out the form below, include ‘guest post’ in the subject field and I will get back to you as soon as possible. Do you pay for all your trips? The majority of them. I traveled to over 20 countries before I even started this site. These trips were all paid from my own cash. Since starting this travel site journey, I’ve received offers from companies who are willing to invite me in exchange for some online exposure. If I get a ‘free’ trip, I will definitely let you know in my post. I want to travel, but I don't know where to start. Can you help? Of course! My trip planning service was created exactly for this reason – to help travelers with every aspect of their planning. Visit my Planning Services page for more information. I have a trip coming up. What should I bring? I get asked this question so much I created a Travel Essentials Shop with all my favorite things I don’t leave home without!